"Share your experience within (or outside of) our educational system here in Washtenaw County." Our first YouthSpeak event prompted young people to share their stories about education and the barriers and supports they face. 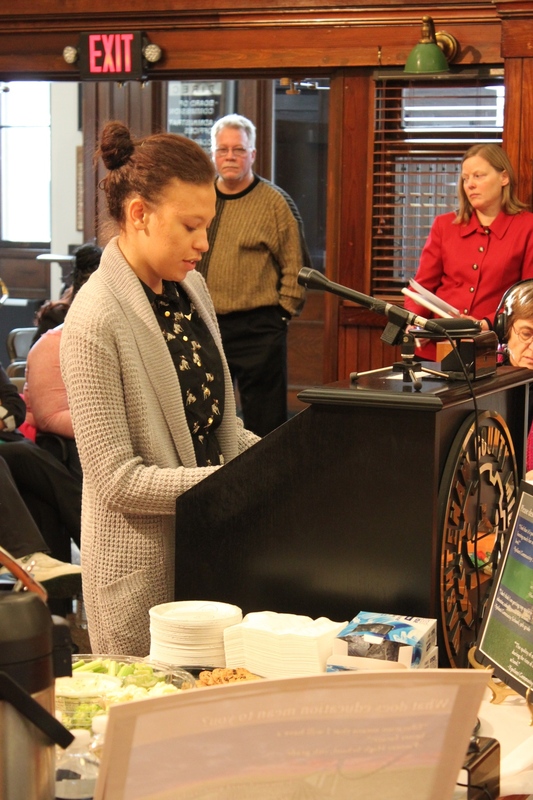 16 youth spoke to 15 listening panelists, all of whom were state or local decision-makers. Their stories touched on expulsion, mental health, academic pressure, unplanned pregnancy, homelessness, high student-to-teacher ratios, ageism, LGBTQ discrimination, and alternative education. After the event, a small group of youth speakers and policymakers met at Ozone House's Drop-In Center in Ypsilanti to further discuss the themes touched on at YouthSpeak and how they can work together to better support youth seeking a quality education in Washtenaw County.